Cruising is the fastest growing sector of the Australian travel industry. That means that we always have new luxury ships, product innovations, itineraries, and unique experiences to share with you. Don’t forget – we are experts in designing a perfect luxury cruise experience to your needs. Just pick up the phone and tell us about your holiday expectations, and we will tailor-make your trip. The Seabourn Encore and its suites will be introduced at a time of unprecedented luxury cruise expansion and competition. Regent Seven Seas Cruises is expecting its own new Seven Seas Explorer, Silversea Cruises awaits the new Silver Muse and Crystal Cruises and Scenic continue to announce a plethora of new products. – It will be a sister ship to 750-passenger Seven Seas Explorer launching this summer. – The luxury cruise will have many of the same features as its sister ship Seven Seas Explorer. According to a release, the new ship will be constructed at the Ficantieri shipyard in Genoa, Italy, at a cost of $480 million. 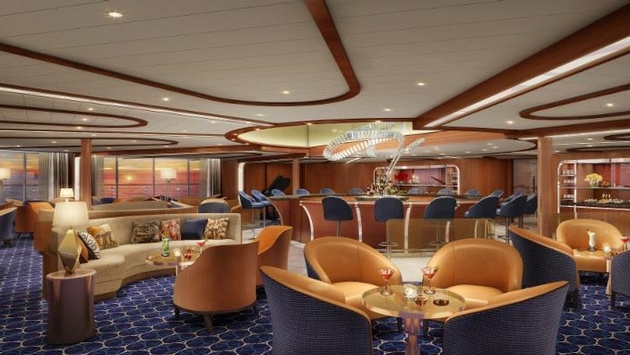 The new vessel will have many of the luxury features of its sister ship, including gourmet dining and spacious suites. The Observation Bar is a stunning space that our guests will be able to enjoy throughout the day. The forward-facing venue will be positioned as the highest interior space on the ship at Deck 11 surrounded by 270 degrees of floor-to-ceiling glass and anchored by a central skylight above a bar and serving area. Throughout the day, light dining will be available, starting in the morning with an Early Morning Riser continental service, afternoons of white glove tea service and evenings filed with canapés. No doubt the drinks of newly employed master mixologist Brian Van Flandern will be featured, enjoyed while seated in the lounge’s leather chairs or high-back barstools, as well. The space itself is all part of the interior aesthetic spearheaded by hospitality designer Adam D. Tihany. 09 Sep 14 – Oceania Cruises have announced plans to provide complimentary Internet access to guests booked in either a suite or Concierge Level stateroom on any of its five award-winning mid-size ships. This is the first time the upper-premium cruise line has offered a free Internet program, with the new benefit commencing during the 2015 winter season. Call Luxury Cruises today to find out more information about this exciting new program. 30 Jul 14 – Windstar is launching its first-ever series of Cruisetours, premiering in Asia and Arabia. For travellers who want to extend their cruise vacation with a land experience, the Cruisetour collection allows guests to experience the wonders of the Far East without the stress of planning this additional travel. Starting at $5,299 Cruisetours include: the cost of the cruise, flights to the Cruisetour city, accommodations in a luxury hotel, excursions with an expert guide in each new city, select meals, and transfers. Guests who book by August 29, 2014 will receive up to a $1,000 airfare credit per person, free hotel and transfers on arrival, a complimentary exclusive private event during the voyage crafted solely for Windstar guests, and savings of up to 50% of the cruise fare. 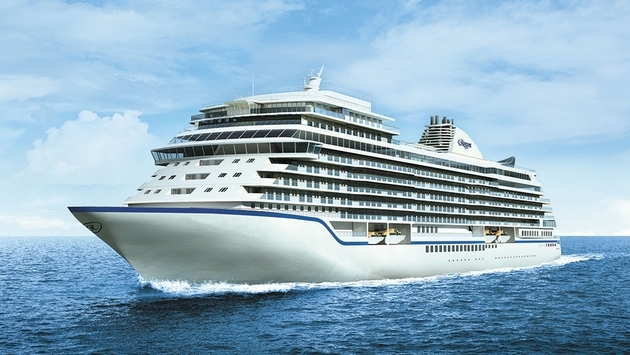 24 Jun 14 – Viking Ocean Cruises announced its first ship – the 930-passenger Viking Star – was “floated out,” marking the latest major construction milestone and the first time that the new ship touches water. With a total of three sister ships now under construction, Viking Star will be the first to debut in early 2015 with maiden voyages in Scandinavia and the Baltic, followed by voyages to the Western and Eastern Mediterranean.